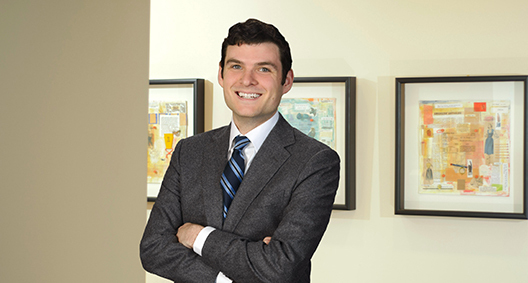 Kyle Gregory primarily concentrates his practice in the healthcare industry, advising clients on health information technology, transactional, and regulatory compliance matters. He also represents technology companies in transactional, licensing, and data privacy and protection matters. Advised several large health systems on a variety of healthcare regulatory compliance issues, including compliance with the Health Insurance Portability and Accountability Act (HIPAA), Medicare billing and reimbursement, federal research requirements, and healthcare fraud and abuse matters. Assisted clients in the procurement of software and related vendor services, including the negotiating and drafting of several multi-million dollar technology agreements. Counseled clients on compliance with U.S. state and federal privacy laws, including preparing for the new California Consumer Privacy Act (CCPA), and assisting clients with designing and implementing information governance and privacy compliance programs. Represented clients in complex healthcare transactions, primarily advising on healthcare and privacy regulatory compliance issues.